A trailer for Kathryn Millard's powerful new film Shock Room, is now available on a dedicated website. As we noted in a previous news item, the film restages multiple variants of Milgram's classic 'Obedience to Authority' studies, and uses our recent theorizing to challenge Milgram's original interpretation of his findings. 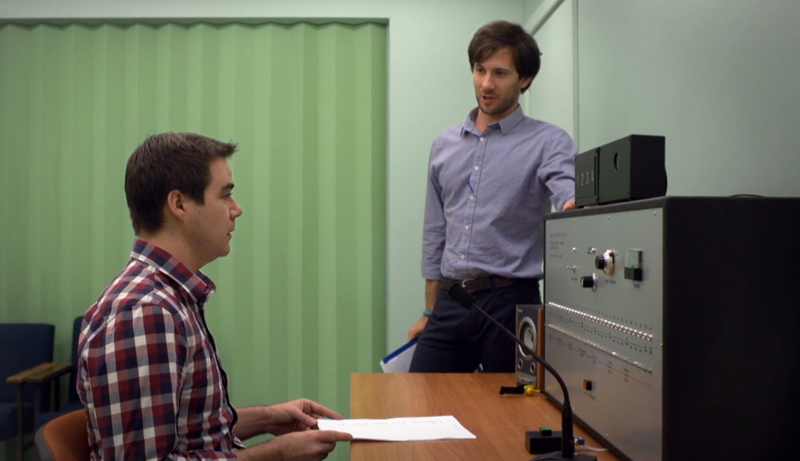 Simon London (Experimenter) and Stephen Wilkinson (Teacher) in Shock Room.